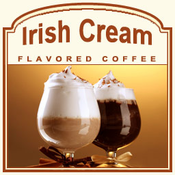 Give into your Irish Cream cravings � morning, day, or night � with this exceptionally flavored Irish Cream coffee. Smooth and creamy, the Irish Cream coffee features a blend of Irish whiskey, coffee, cream, and sugary sweetness folded into chocolaty undertones. Perfect for those that love Irish Cream liqueur, this 2-calorie cup of flavored coffee will hit the spot with its chocolate, vanilla, and caramel flavors. Made with 100% authentic Arabica beans, this Irish Cream is a non-alcoholic treat with full-bodied scrumptiousness. 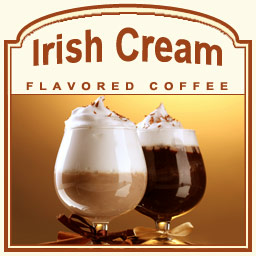 Roasted and shipped on the same day, the Irish Cream flavored coffee is perfect served piping hot or icy cold (even with a dollop of whip cream on top). Packaged in a heat-sealed valve bag, your Irish Cream coffee will offer the freshest flavored coffee experience around. Give into the tempting flavors of Irish Cream and chocolate sweetness!